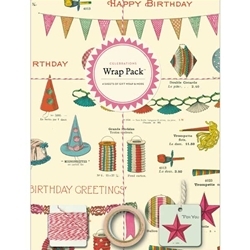 Beautiful wrapping paper pack by Cavallini. 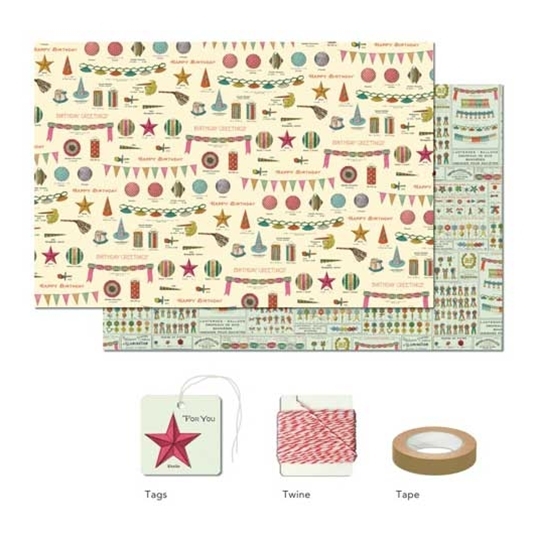 Each pack contains: 4 sheets of folded wrapping paper (2 each of 2 designs), 4 glittered gift tags, 1 roll of Japanese style paper tape. and 10 yards of bakers twine. Vintage imagery from the Cavallini archives reproduced in bright, crisp color. 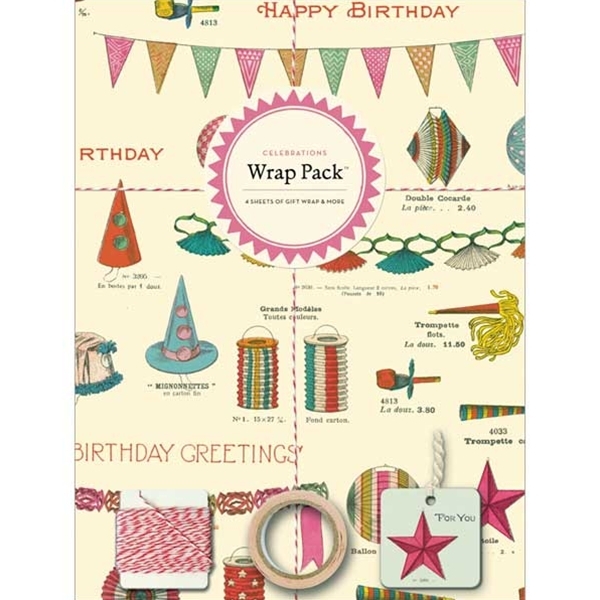 Not only ideal for gift wrapping, but for scrapbooking, collage, book making, and all paper arts! Wrap Dimensions: 20" x 30"